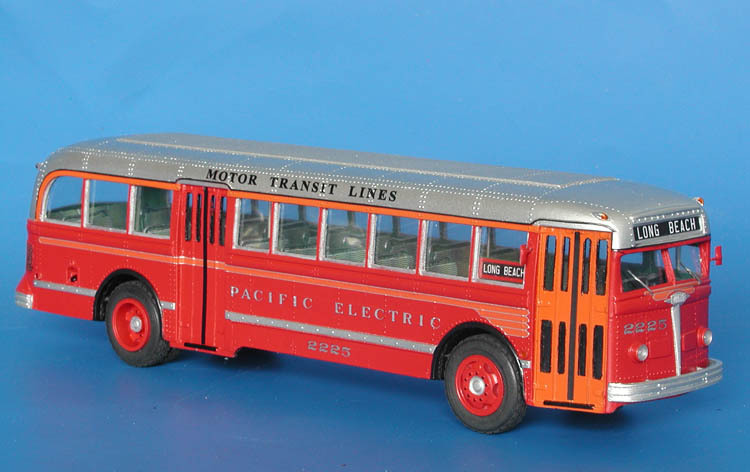 Model 1950/51 gm tdh-5103 (pacific electric lines co. 2701-2889 series). 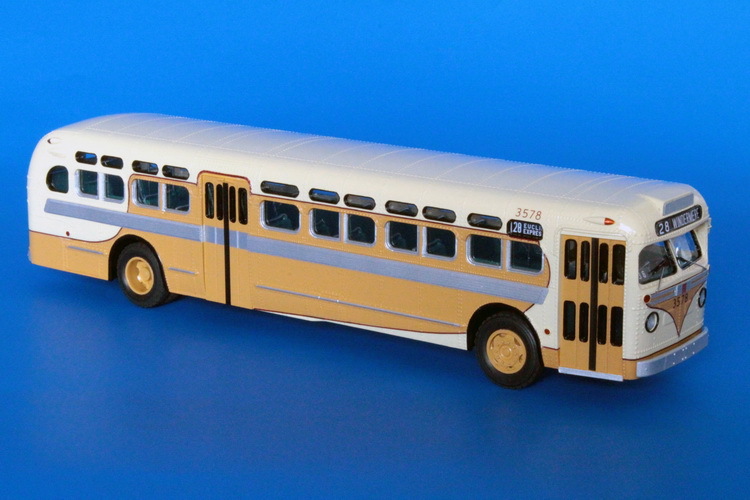 Pacific Electric was the very first Customer of new GM product. 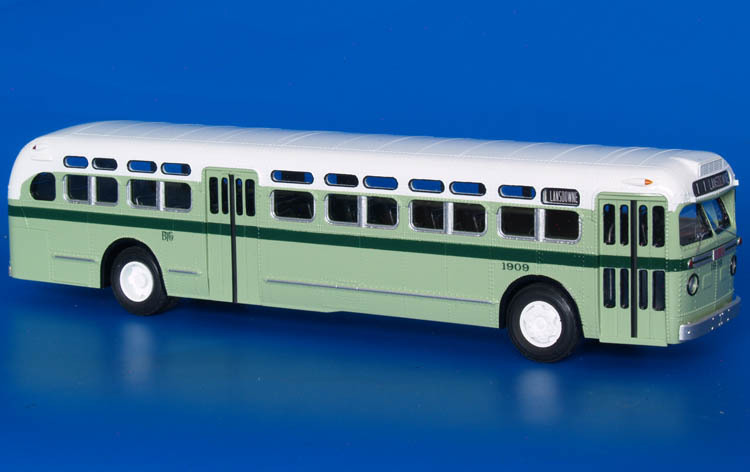 The company received 125 new TDH-5103 buses between July and September 1950 and ordered 65 more for delivery in 1951 as part of the system modernization which costed $7 million. 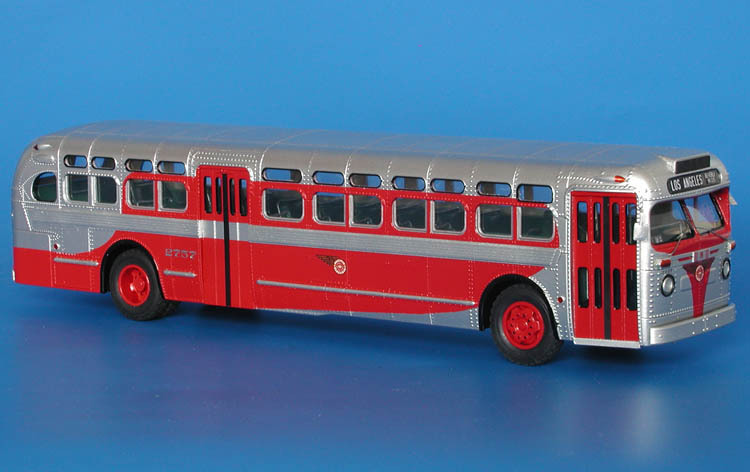 Buses arrived in the new red and silver 'teardrop' livery and were the first Pacific Electric buses to have two-piece front destination signs. 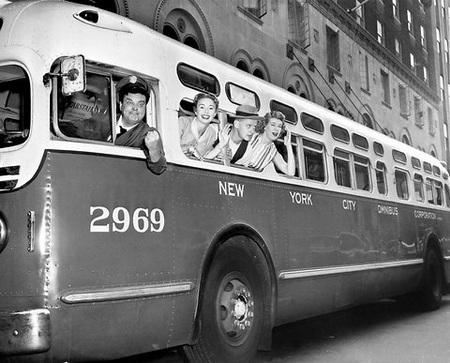 New buses were used to replace electric cars on eight suburban and interurban routes during 1950 and 1951. 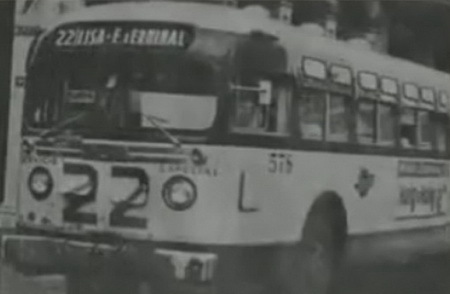 1955/57 GM TDH-4512 (Cooperativo de Omnibus Aliados - Havana). 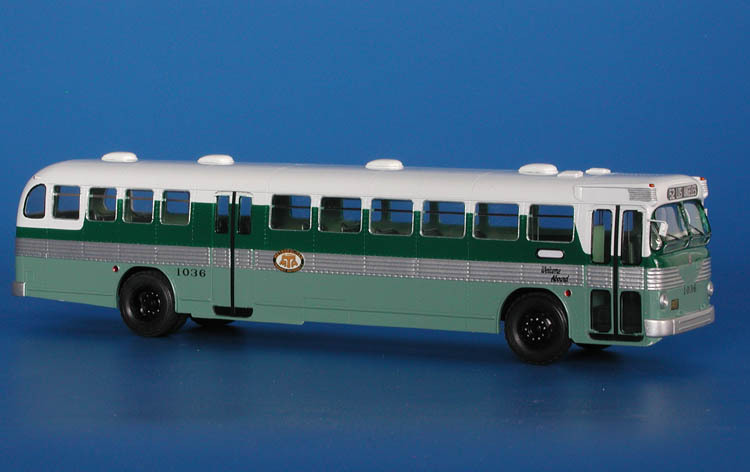 1955/57 GM TDH-5105 (Baltimore Transit Co. 1844-1918 series) - post'59 Mint Green/Pine Green livery.